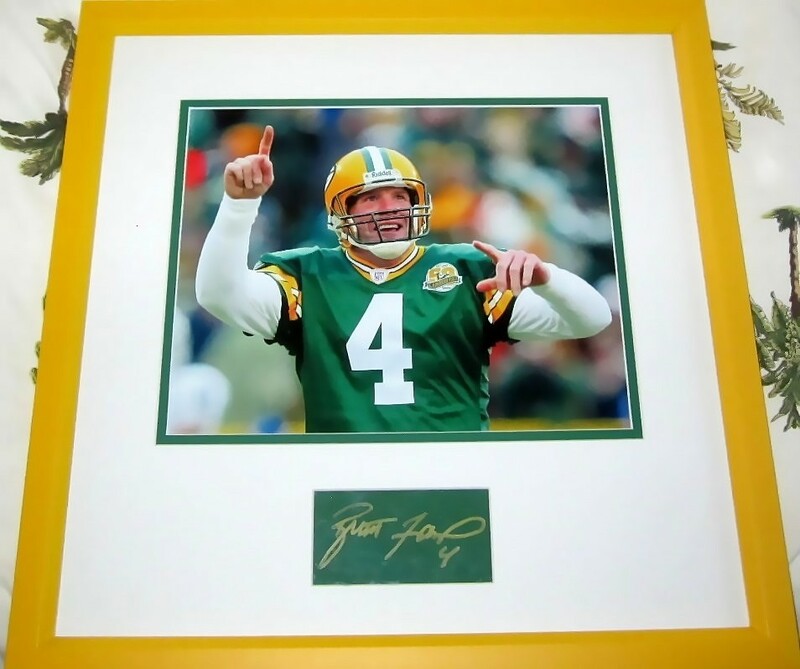 Brett Favre autograph signed in gold paint on clear plastic, professionally double matted in green and white with a Green Bay Packers photo, framed with glass in yellow, ready to hang. Framed size is 16 1/2 inches square. 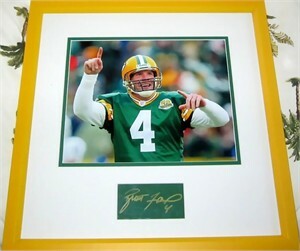 Authenticated by JSA with their numbered certificate of authenticity card (the matching numbered sticker was destroyed) and certificate of authenticity from AutographsForSale.com. ONLY ONE AVAILABLE FOR SALE.